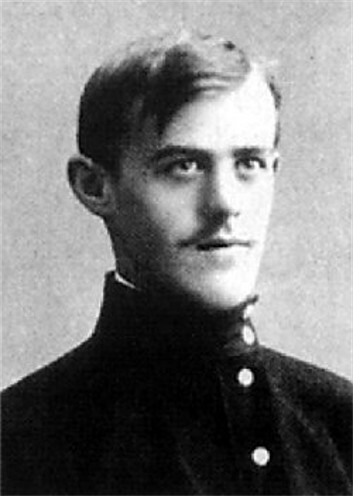 Volobuiev, Mykhailo [Volobujev, Myxajlo], b 24 January 1900 in Mykolaiv, Kherson gubernia, d 20 June 1972 in Rostov-na-Donu. (Photo: Mykhailo Volobuiev.) Ukrainian economist of Russian origin. A member of the college of the Central Administration for Political Education (Holovpolitosvita) in Kharkiv, Volobuiev worked as a lecturer at the Kharkiv Institute of People's Education and the Kharkiv Tekhnikum of the National Economy, and later as professor of political economy at the Kharkiv Mechanical and Machine-Building Institute. In 1928 he published a major article, ‘Do problemy ukraïns’koï ekonomiky’ (On the Problem of the Ukrainian Economy), in Bil’shovyk Ukraïny (1928, nos 1–2), the main theoretical journal of the CC CP(B)U. Rejecting the view that the Russian Empire was a unified economic system, he argued that Ukraine should be studied as a separate national-economic entity with its own path of development, and that its separateness should be respected under the Soviet regime. He defended Ukraine's right to control its economic development and its national budget. Volobuiev showed how central control of the economy combined with Russian chauvinism resulted in exploitation of Ukraine. His arguments gained wide support in Ukraine but were attacked vehemently by Party authorities as ‘bourgeois nationalist’ and anti-Soviet. He was forced to recant his ideas in a letter to Komunist (1928) and in a two-part article in Bil’shovyk Ukraïny (1930) titled ‘Proty ekonomichnoï pliatformy natsionalizmu (Do krytyky volobuïvshchyny)’ (Against the Economic Platform of Nationalism [Toward a Criticism of Volobuievism]). He was arrested in December 1933 and soon “confessed” that he had been recruited by Mykola Khvylovy to a “counterrevolutionary Ukrainian organization.” Sentenced to five years of imprisonment, Volobuiev was released only in 1943. He was rehabilitated in 1957 and in 1961 he briefly worked in the Economics and Trade Institute in Donetsk.